Which marketing tools will your company benefit from? Marketers know that their very tools and strategies have to change in the era of inbound marketing. 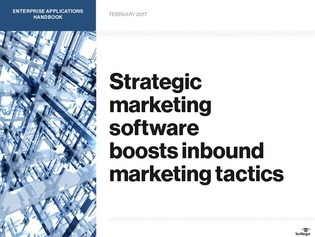 In this expert handbook, learn about tools necessary for a successful marketing software strategy, what to buy, and how to think about those software purchases in the context of your existing infrastructure and operations.